It is a compact, metal-bodied safety system that enables the configuration of various safety products including electrical safety gate switches (with or without guard locking), mechanical trapped key interlocks and electrical operator controls, either as separate devices or integrated into one device. 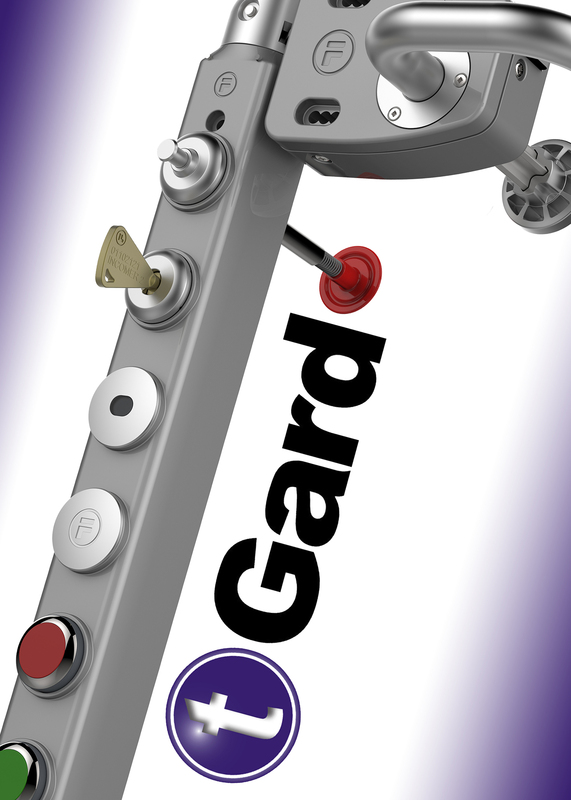 Fortress Interlocks offers tGard as a customised product, as standard. It is defined by a range of tGard elements, including safety switches (solenoid and non-solenoid), personnel keys, emergency release, push buttons, estops, indicator lamps and a choice of operating handles for both hinged and sliding guard doors. These elements are simply selected and then assembled into a robust housing, suitable for mounting onto machine guarding, providing the user with an exact configuration specific to the application.